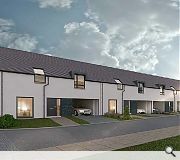 Scotia Homes have submitted plans for a mixed use development at Bridge of Don, Aberdeen, comprising new homes, retail and a nursery. 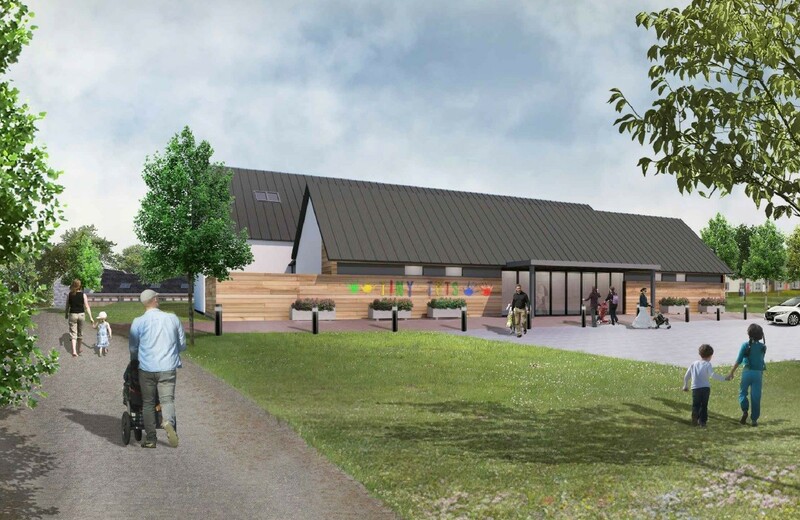 Drawn up by Michael Gilmour Associates the project will involve the conversion and extension of an existing farmhouse for commercial use with the farmhouse itself replaced by a new retail building. 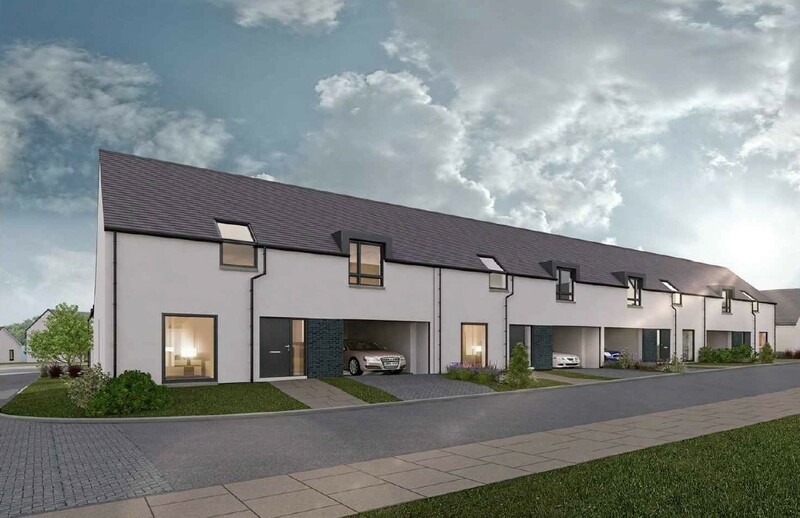 Elsewhere a nursery is proposed in ‘contemporary vernacular’ style with mews housing distinguished by narrow gables and a simple palette of materials, including built-in parking bays and pedestrian friendly courtyard. A design statement noted: “Materials from demolitions will be re-used as much as possible on site. 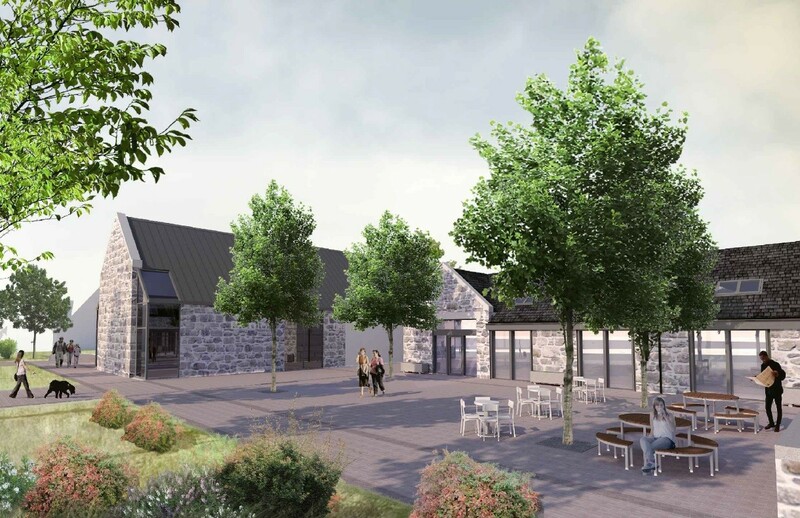 Granite from the demolition of the farmhouse and store is to be used on the walls of the new retail unit, including a feature gable wall will be created using existing stone. The existing feature skew stones and corner stones will be re-used in their appropriate locations. 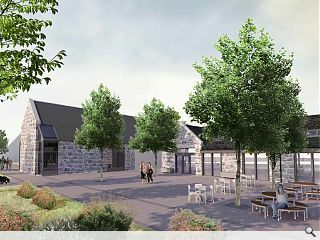 “The steading building will be carefully taken down and re-built using the existing granite and slate. Feature pieces of stone (lintels, skews, corner stones) will all be retained and re-used as much as possible in their appropriate locations in order to maintain the character of the building. 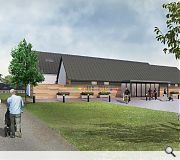 Materials used will include dry dash render, timber cladding, natural slate and re-used granite. This actually looks quite good, the first picture in particular with that chunky stonework. Could really do without that white render on the terraced housing though. Yuk.